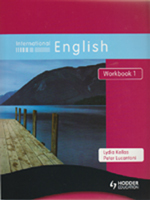 International English is a new series offering a comprehensive programme for teaching Lower Secondary English. Specially designed for pupils for whom English is a second language, the course is carefully structured to boost pupils' abilities and confidence in the subject. The material is tailored to suit global market requirements, and subject content and language learning are supported equally.